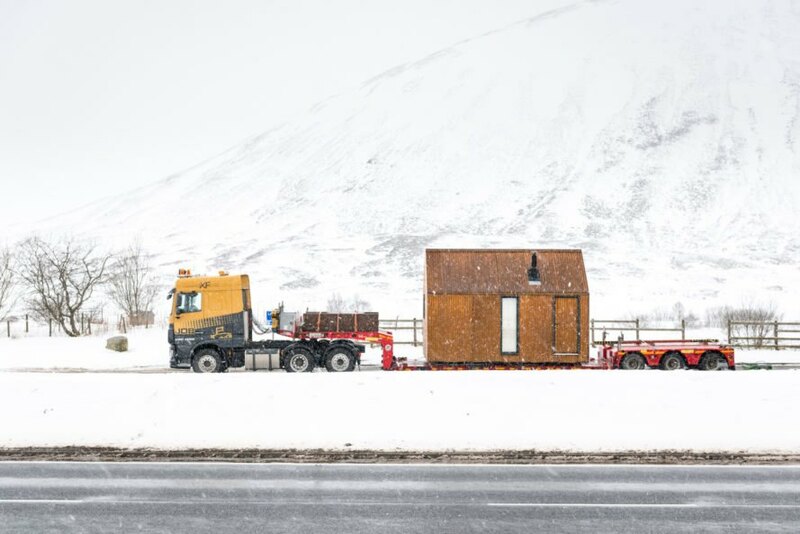 A new piece of prefab architecture will soon bring artists, researchers, and travelers closer to the spectacular Scottish Highlands. 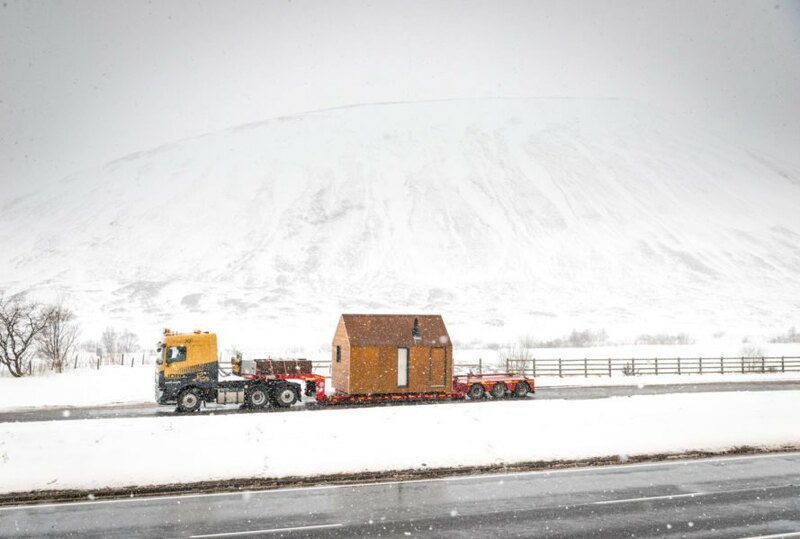 Artist Bobby Niven and architect Iain MacLeod designed the Artist Bothy, a multipurpose cabin prefabricated in Scotland from sustainable materials. Conceived as an artist residency space, the gabled hut promises a low-impact and off-grid immersion in nature. 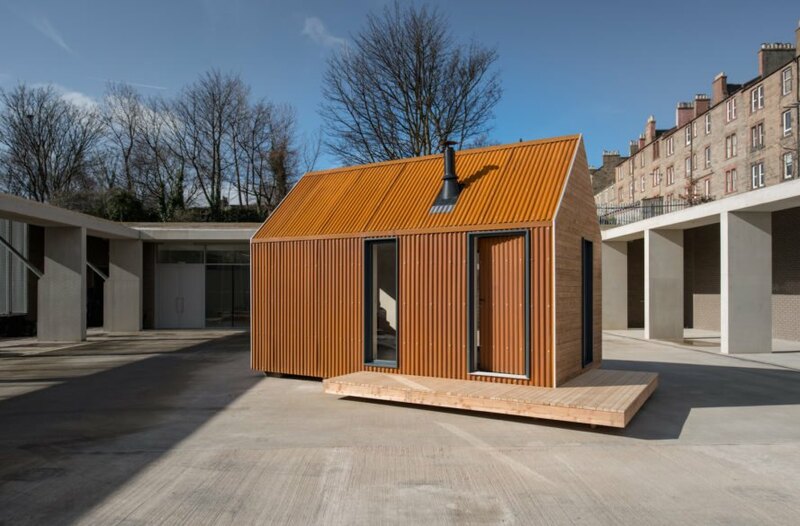 The Artist Bothy was born from the Bothy Project, a network of off-grid artist residency spaces that aims to support artist mobility and access to the Scottish landscape. 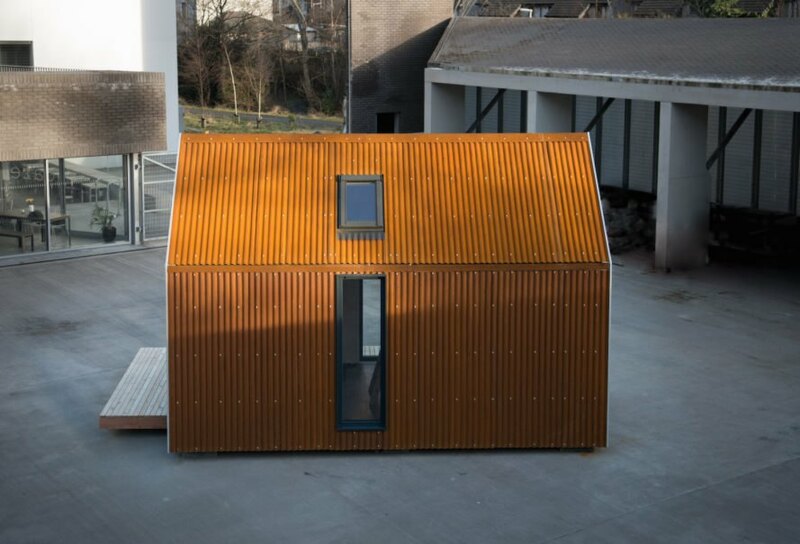 To withstand the elements, the 178-square-foot cabin was constructed from cross-laminated timber panels clad in Corten corrugated metal and Scottish larch. Insulated with 100 millimeters of wood-fiber insulation, the gabled structure frames views through double-glazed windows. Surface water drainage is handled by concealed downpipes. Each Artist Bothy can be installed on site in less than a day. While the structures were envisioned for off-grid use, they can also be connected to electricity and water services. The compact interior features a mostly wooden interior and a mezzanine level for sleeping. Optional extras for added functionality include a kitchenette, bench bed, shelving units, tables, a wood-burning stove, and outer decking. The Artist Bothy is available to purchase starting from £39,000 ($54,731 USD). The Artist Bothy was born from the Bothy Project, a network of off-grid artist residency spaces that aims to support artist mobility and access to the Scottish landscape. 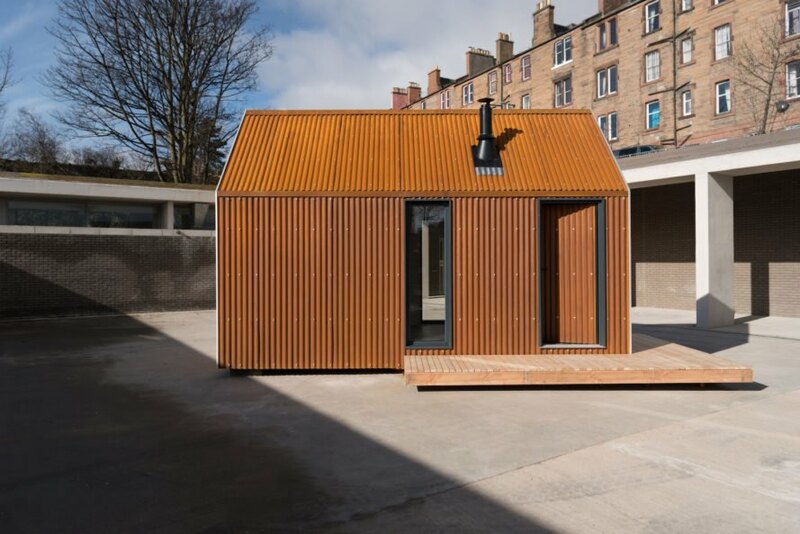 To withstand the elements, the 178-square-foot cabin was constructed from cross-laminated timber panels clad in Corten corrugated metal and Scottish larch. Insulated with 100 millimeters of wood-fiber insulation, the gabled structure frames views through double-glazed windows. Surface water drainage is handled by concealed downpipes. Each Artist Bothy can be installed on site in less than a day. While the structures were envisioned for off-grid use, they can also be connected to electricity and water services. 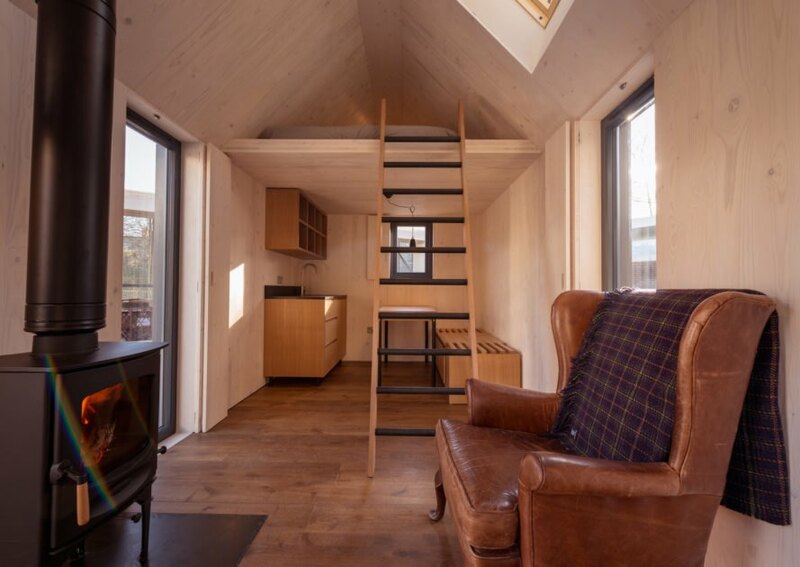 The compact interior features a mostly wooden interior and a mezzanine level for sleeping.